Price includes COURRIER SURCHARGE as Royal Mail will not accept these items. 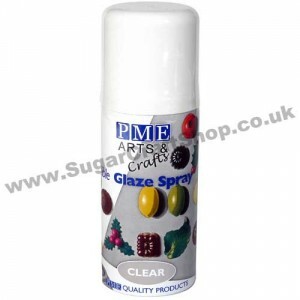 Create stunning Lustre effects with this easy to use Glaze Spray. Add a wonderful new dimension of styling and elegance to your Celebration Cakes, Chocolates, Cup Cak..
PRICE INCLUDES COURIER SURCHARGE - In store price £6.25 as Royal Mail will not accept these items Create stunning Lustre effects with this easy to use Lustre Spray Colour. Add a wonderful new dimension of styling and elegance to your Celebrati..
PRICE INCLUDES COURIER SURCHARGE - In store price £6.25 as Royal Mail will not carry these items Create stunning Lustre effects with this easy to use Lustre Spray Colour. Add a wonderful new dimension of styling and elegance to your Celebratio..
PRICE INCLUDES COURIER SURCHARGE - as Royal Mail will not carry these items. 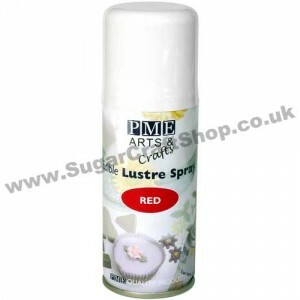 In store price £6.25 Create stunning Lustre effects with this easy to use Lustre Spray Colour. Add a wonderful new dimension of styling and elegance to your Celebrati..
PRICE INCLUDES COURIER SURCHARGE - as Royal Mail will not carry these items In store price £6.25 Create stunning Lustre effects with this easy to use Lustre Spray Colour. Add a wonderful new dimension of styling and elegance to your Celebratio..
PRICE INCLUDES COURIER SURCHARGE - As Royal Mail In store price £6.25 Create stunning Lustre effects with this easy to use Lustre Spray Colour. 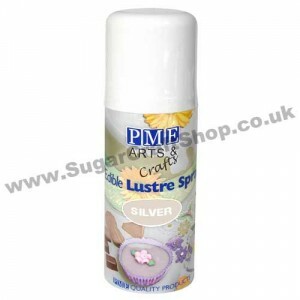 Add a wonderful new dimension of styling and elegance to your Celebration Cakes, Chocolates, Cup Ca..
PRICE INCLUDES COURIER SURCHARGE as Royal Mail will not carry these items - In store price £5.99 Create stunning Lustre effects with this easy to use Lustre Spray Colour. Add a wonderful new dimension of styling and elegance to your Celebratio..
PRICE INCLUDES COURIER SURCHARGE - as Royal Mail won't carry these items In store price £6.25 Create stunning Lustre effects with this easy to use Lustre Spray Colour. Add a wonderful new dimension of styling and elegance to your Celebration C..
PRICE INCLUDES COURIER SURCHARGE -As Royal Mail won't carry these items - In store price £6.25 Create stunning Lustre effects with this easy to use Lustre Spray Colour. Add a wonderful new dimension of styling and elegance to your Celebration ..